Probably the most often asked question next to “Can’t you make my policy cheaper?” is: “Do I have enough coverage to replace the building?” The only person who could answer that with certainty is a contractor bidding on rebuilding the structure today who is familiar with the costs of materials and labor on a daily basis. Since that’s not practical and the number would be a moving target anyway, let’s explore the realistic alternatives. I. “GUARANTEED REPLACEMENT COST”. This type of policy says that it will pay to rebuild the structure without regard to a specific limit of insurance. So whether it costs $1 million, $2 million or $5 million to rebuild, the insurance company will pay for it. They base the pricing for the insurance on factors such as style of construction and type of materials along with the square footage, number of units and location. It’s important not to confuse “replacement cost coverage” with “guaranteed replacement cost”. Almost all policies are replacement cost but very few are guaranteed. The former merely means only that there will not be depreciation, but the limit of coverage is the limit stated on the policy. The latter means that there no limit for replacement of the structure with one of like kind and quality. A variation of “Guaranteed Replacement cost” which provides basically the same type of coverage through use of a very high building limit for any single loss “high limit package programs”. These programs typically have a limit of $750 million or $1 billion per occurrence and therin are essentially unlimited as well. The high limits are fully reinstated after each loss, without regard to losses for other buildings in the program. The fact that the kind of limits we’re talking about here will never be reached for a single building makes them the virtual equivalent of guaranteed replacement cost. The cost of these policies is very competitive with policies affording more limited coverage. II. EXTENDED REPLACEMENT COST – This provision allows for some multiple of the base building limit to be available to cover a building loss. For example a 125% extended replacement cost endorsement would provide for up to $1,250,000 of coverage to be available on a $1,000,000 base policy limit. The basic requirement is that the building must be insured to 100% of the estimate replacement cost at the time of writing the policy based on industry cost guides, which are usually quite low. Different companies may not offer it at all or may offer 125%, 150% or 200% extended replacement cost. III. BLANKET LIMIT ACROSS MULTIPLE BUILDINGS – If you own multiple buildings that can be combined on one policy, this may be of great value. Some companies are willing to write multiple locations on a single policy with a combined limit of coverage allowing for the total limit to be used for any one loss. It is important to know that simply having the locations on one policy is not enough; the policy must specifically have the blanket limit endorsement which provides for a single limit rather than a schedule of limits for each location. This is a great way to get a lot more bang for your buck in that usually, there is no extra charge for this valuable upgrade, but only a small number of our carriers offer it. IV: STATED REPLACEMENT COST - Unfortunately, most commercial policies have a stated limit which is the most they will pay for a building loss. If you choose this option, then you need be very concerned with the actual cost to rebuild. How is minmum replacement cost established? Location of the building, even within the same city, can make a big difference. A building on a hill for example is more expensive to build than a building on flat land due to the extra cost of foundation and hauling of materials, much as inner city construction is more expensive than rural construction. Type of construction, even with the same materials makes a significant difference. A Victorian with hardwood floors and considerable exterior detail would likely cost two to three times as much to build per square foot than a rectangular building built in 1962 with little or no though both are frame construction. Number of units per square foot of building area is a factor too. A 10,000 square foot building with 20 studios would cost considerably more per square foot that a 10,000 square foot building with 3 flats. The reason is that each of the studios will have a bathroom and a kitchen adding up to no less than 20 bathrooms and kitchens as opposed to maybe 6 to 10 such installations in the building with 3 flats. In addition, there are many more walls as opposed to larger open spans. I regularly poll the contractors in the area and am also involved in the rebuilding of structures damaged by water and fire losses. Here is the best info I have at this time. Remember that these are figures for “ground-up” construction. Remodeling or repairing with the framework of an existing structure is much more expensive than starting from scratch. The range can go higher or lower depending on many factors. In summary, the safest way to be sure you have enough coverage is by having the insurance company take that risk by either purchasing a policy with a guaranteed replacement cost, one that uses a blanket limit which includes all of your locations or at a minimum, one that includes extended replacement cost. If you do choose to use one of the standard type policies with a stated limit, just be sure to review it regularly and consider getting multiple estimates of rebuild cost. David Gordon, CLU is an independent insurance broker who has been providing insurance products and consulting to commercial property owners for over 25 years. 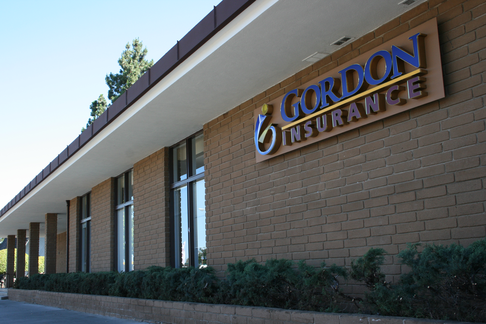 Feel free to contact us at 650-654-5555 or DGordon@GordonInsurance.com for more information on any insurance matter or if you would like to see a particular subject addressed in future issues.